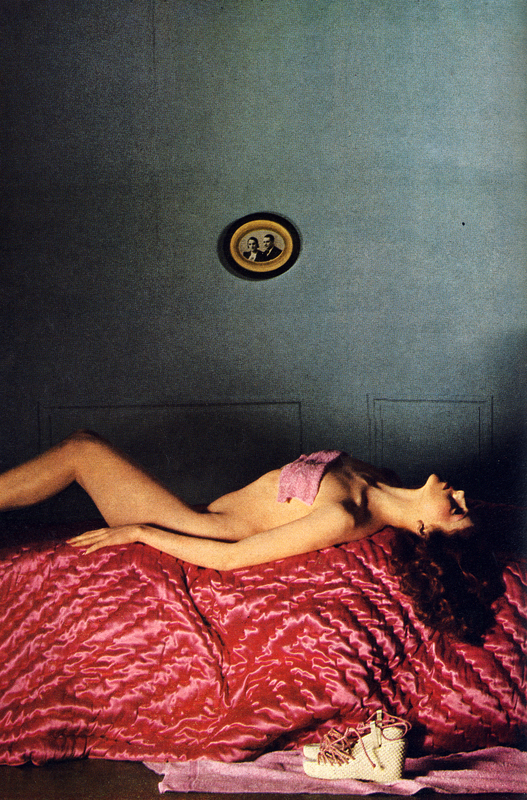 Photographed by Guy Bourdin for a Charles Jourdan advert. Shoe is ‘Tokyo’, £20.50. Scanned from Harpers and Queen, April 1975.